Wall Street's biggest financial firms appear to have lost their battle to avoid the more stringent regulations being promoted by the likes of Bank of Canada governor Mark Carney. Despite a concerted campaign by some top U.S. bank executives who branded the rules "anti-American," the U.S. Federal Reserve is poised to adopt the measures, which apply to global firms that are essentially "too big to fail," according to a report in the Wall Street Journal. Citing unnamed sources, the newspaper said the Fed was embracing the latest elements of the "Basel III" framework, so-called because it represents the third round of standards put forward by the Basel Committee on Banking Supervision, an international group of bank regulators. Under the Basel III accord, all banks would basically have to maintain a ratio of common equity to risk-weighted assets (like loans) of at least seven per cent, up from the Basel II standard of maintaining so-called Tier 1 capital at four per cent. The latest set of rules would also require the world's biggest and most interconnected banks — the ones that pose the greatest risk to the global financial system — to maintain extra capital, called a surcharge, of between one and 2.5 per cent of their risk-weighted assets. Carney, as chair of the Basel-based Financial Stability Board, which works with the Basel Committee, has championed the new measures — and met the wrath of bankers. In an incident in late September, JP Morgan Chase CEO Jamie Dimon assailed the Bank of Canada governor over the capital surcharge, telling a closed-door meeting of government officials and bankers in Washington that it was unnecessary and discriminated against U.S. companies in the way it assessed mortgage loans. Dimon vowed to fight the "anti-American" provision. Two days later in the U.S. capital, at a meeting of the banking lobby, Carney knocked heads with Scotiabank CEO Rick Waugh over tighter regulations on the sector. Though he isn't the only central banker advocating the new regulations, Carney deserves credit for the Fed's reported decision to adopt them, said Ian Lee, an assistant professor of international business at Carleton University's business school in Ottawa. "He was the one who first raised the issue, and he attached his flag to this issue," Lee said. 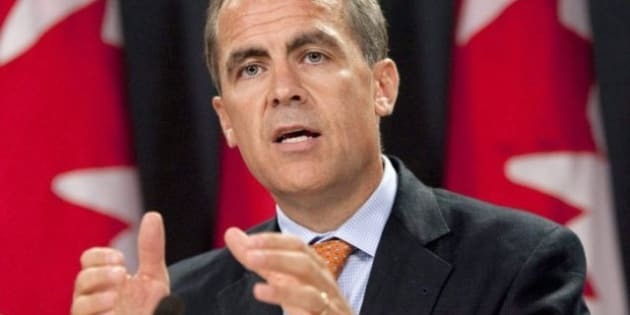 "I think it was inevitable given the circumstances in Europe, but Carney set the table and put forward elegant arguments before the world banking community that predated [Fed chairman Ben] Bernanke's decision. So we should give significant credit to Carney." Lee said the banks' contention that the new regulations will contract the amount of credit available for loans, and potentially choke economic growth, is a red herring. "Governor Carney blew that argument from Jamie Dimon right out of the water. He just destroyed that argument, saying look, Basel doesn't even start kicking in until 2013, and you're sitting here crying about 2011," he said. "And the other one was he said, 'You don't make a financial system stronger by continuing to allow it to be weak.'" Countries are supposed to implement laws or regulations to enact the Basel III standards by Jan. 1, 2013, and then to phase in the capital requirements over two years. Final implementation isn't until 2019, when most banks will need to maintain a further 2.5 per cent buffer of extra capital for routine operations. Canada announced early in 2011 that it was implementing the rules. 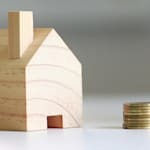 The aim of the tighter rules is to try to prevent the collapses of major financial institutions, as occurred in the wake of the U.S. subprime mortgage housing crisis in 2008. Not all independent observers think now's the right time for stricter controls on how much banks can lend, however. "Since the start of the euro crisis, financial markets have tightened up because of the fears of a recession," said Laurence Booth, a finance professor at the University of Toronto's management school. "Imposing capital requirements on banks at this stage is generally not what you'd do. The banks are going to be spending a lot of time rebuilding their capital, and loans are going to be hard to come by ,which is exactly the wrong thing to do given the weakness in the economy." Booth also said when the Fed moves to officially adopt Basel III and the capital surcharge, it won't be because of Canada's central bank governor. "I wouldn't put it down as a victory for Carney. I would say this is the emerging consensus. They had to do that. Given the factors in the American banks that caused all the problems, it would be very difficult if the Fed didn't impose something that had been agreed to."